Sidney Grice once had a reputation as Victorian London's most perspicacious personal detective—though after his last case, in which an innocent man was led to the gallows, business has been rather light at 125 Gower Street. As this sequel to The Mangle Street Murders opens, Grice has grown listless and depressed, lying in the bath for hours at a time. He will pick up neither book nor newspaper, and he has not even bothered to re-insert his glass eye. All of this leaves his ward, March Middleton, to dine on her own. 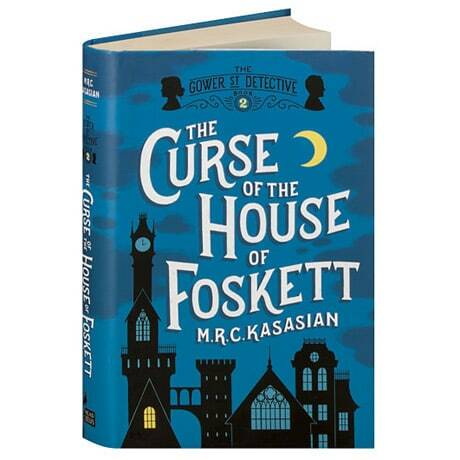 But Grice perks up considerably after an eccentric member of the Final Death Society drops dead in the study; finally, he and March have an investigation to mount—one that will draw them to an eerie house in Kew, and the mysterious Baroness Foskett.